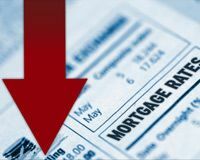 Mortgage Rates are Down. What does that mean? So, Rates are Down. Now What? Lets be honest, what does that even mean. Most first time home-buyers are unclear about the buying process as it is. (I will go into that more on another blog post). It means that over a 30 year mortgage, you payment will be slightly lower than what it would have been if you purchased a home at the end of 2018 or early this year. This is good for those home buyers that may have wanted to buy in the last 6 mos but couldn't get qualified for the amount they wanted because the rate may have put them out of their ideal payment amount and didn't have or want to put extra down payment (of course there could have been other factors involved). All in all, its a great time to buy, with all the mortgage programs available, if you are renting, then you can buy.